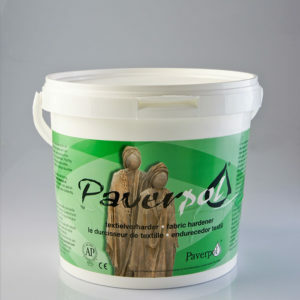 Paverpol dries completely transparent. Colored textiles, possibly with a pattern, retain their original brightness. By adding colored powder (Pavercolor) to Paverpol, Paverpol can be coloured without slowing down the drying time. 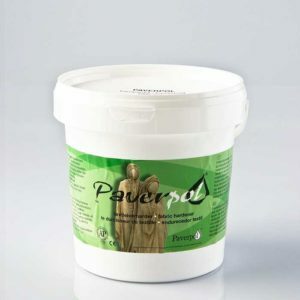 It is also possible to combine Paverpol with paper, silk, chamois leather, self-hardening clay, polystyrene foam, dried flowers, wood, plaster, pottery, etc. Sculptures made with pre-coloured Paverpol like Bronze, Black or Grey can be placed outside after two weeks of curing. Varnish is not necessary. It is important that you have wrapped the sculptures in a way that it is not possible that water can get in between the fabric and the frame. This will prevent it from molding. 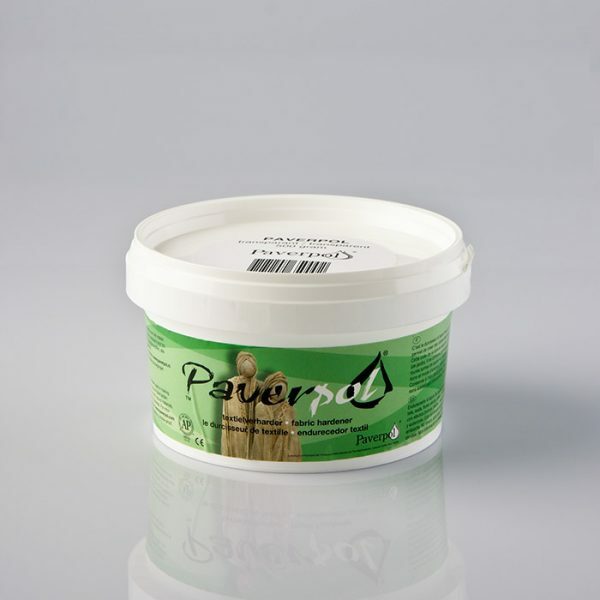 Also available in transparent, Black, Bronze and Lead 500 gram, 1000 gram and 5750 gram containers.